When cuisine travel, they tend to become oversimplified and stereotypical. For example, when you mention Chinese dishes, people will simply said dumpling or noodle or fried rice. But again, you will definitely ask what type of noodle is it? how the broth taste like? 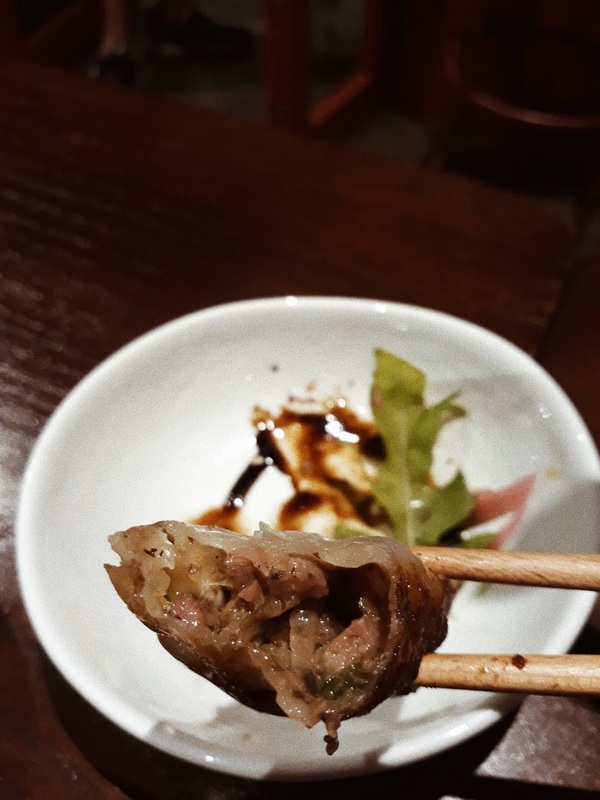 What is the filling of the dumpling? and so on. 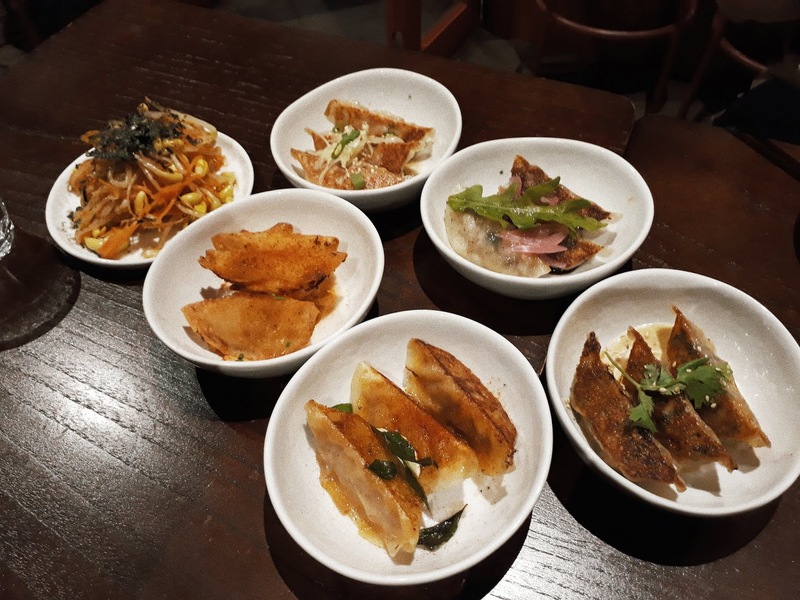 Moreover, in Singapore, where culture blend and gastronomical sense collides, it is not easy to find a modern cuisine that reflect both Singapore where the dish is made and the dish origin itself. Perhaps that statement was countered by Dumpling Darlings, a recently opened new restaurant in CBD area. We visited Dumpling Darlings on a fine evening for dinner. 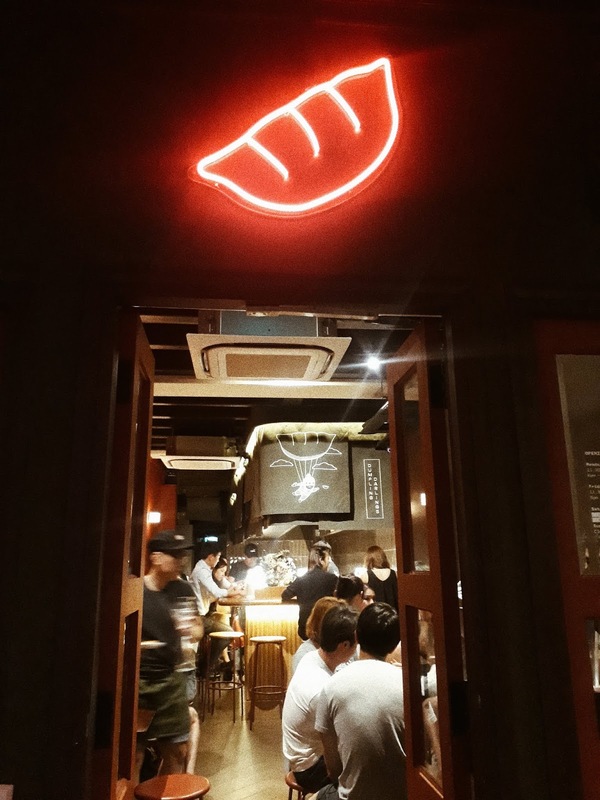 Located in a quaint shophouse in Telok Ayer area, the front part of the restaurant has a red light dumpling on top of it. When we reached there, the queue was about 30 minutes. Nevertheless, we waited and finally got in. The Dumpling Darling menu is simple, but the menu book is adorned with eye-catching illustration. We decided to get the Dumpling Party tasting menu (S$20) comprises of five different flavour three pieces each. The flavours are The Original, Veggie mind, Mom Curry, Fried Pierogi, Smoked Duck. Their dumpling is freshly made each day. The quality and flavour of each filling is simply amazing and we can feel that there's much effort and thought placed in creating each flavour. All in all, our most favourite flavour was the Smoked Duck and Fried Pierogi. Compared to all flavour, the original one is the most mildly taste. 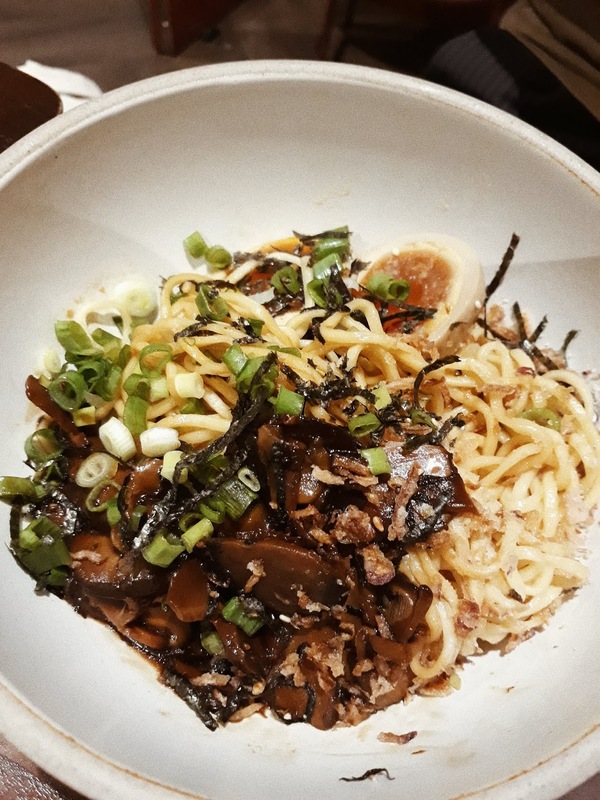 We also ordered the Miso Mushroom noodle (S$5) which is a handmade thin egg noodle, topped with mushroom, boiled egg, and scallion. We thought that it tastes quite flavourful. 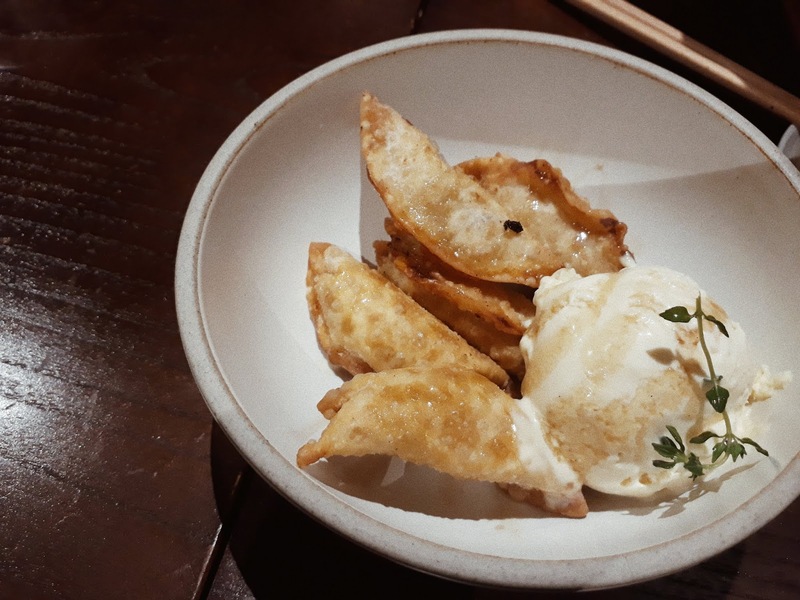 To end the tasting, we ordered a dumpling dessert which is pear and cheese dumpling with honey ice cream (S6). Wow it sounds like something new to us, but we must say that the dish was a superstar! It comprises of sweet and sour filling and the fragrant melting honey ice cream. Who would've thought that dumpling can be made into an excellent dessert? All in all, I give this Dumpling Darlings restaurant a 4 star for its innovative dishes but not overcomplicating the original version of dumpling. 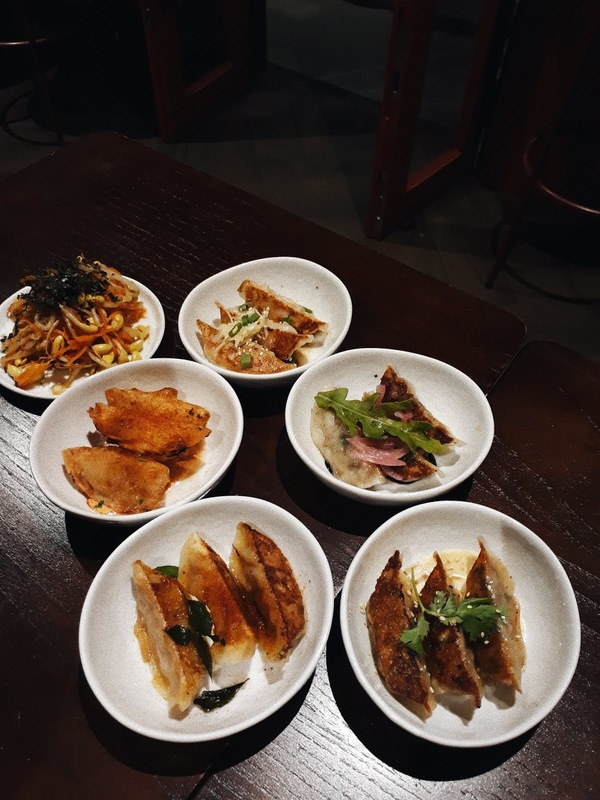 I really recommend this place for those who would love to try a modern version of dumpling.